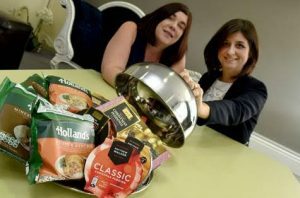 A Leeds agency has been handed two food and drink briefs by 2 Sisters Food Group. The Lucre Group, which also has an office in London, has won pitches for both Holland’s Pies, based in Lancashire, and Derbyshire company Matthew Walker Puddings. Lucre will work with Holland’s Pies - originally founded in 1851 - on building brand awareness in key sales areas as well as through digital and social media. Matthew Walker is the oldest Christmas pudding maker in the world and also makes premium sponge puddings, cakes, party food and seasonal desserts. It initially appointed Lucre to support its own-label and branded festive pudding ranges, but has now also enlisted the agency to launch its gluten-free sponge pudding range across social, consumer and trade media. Sarah Gibbon, senior category manager at Matthew Walker, added: “We were really impressed with Lucre’s creative campaign that perfectly merged social and PR and will help us communicate our key messages."